Kevan James says he tries not to get talked into telling his story too often. This week, though, he’s letting his guard down. After all, following a Roses match in which Lancashire’s Jordan Clark claimed a hat-trick including two of world cricket’s very best batsmen and another Test star with a burgeoning reputation, it is almost impossible for the 57-year-old from Lambeth not to find himself, or at least his finest moment, back in the spotlight. James, you see, knows exactly how Clark felt at Old Trafford on Sunday; the focal point of a packed house, scarcely coming to terms with the dismissals of Joe Root, Kane Williamson and Jonny Bairstow in successive deliveries. 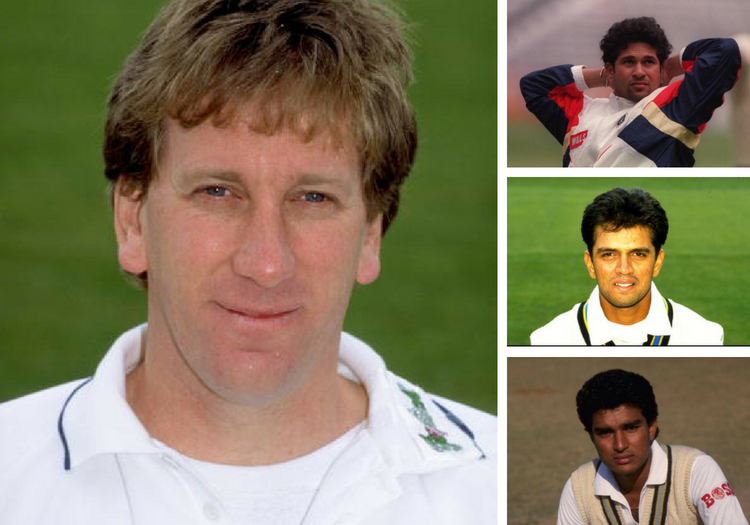 In 1996, during a tour match between Hampshire and the Indians at the old ground in Southampton, the left-arm seaming allrounder managed something very similar. While, for Clark, the words ‘Root, Williamson, Bairstow’ (14,639 Test runs and counting between them) will roll off the tongue with a particularly sweet aftertaste, James has an equivalent: ‘Tendulkar, Dravid, Manjrekar’ (31,252 Test runs in total). James even went one better, with that formidable trio making up just three-quarters of an extraordinary streak of four wickets in four balls. Oh, and he had Sourav Ganguly dropped off the next delivery. Not bad for a man who, by his own assessment “didn’t do a lot” and “wasn’t the worst player but wasn’t the best” during a durable and lengthy county career. “I didn’t bowl for quite a while and it was pretty close to lunch when John Stephenson, our captain, gave me the ball,” James tells The Cricketer. “None of us really wanted to bowl while they were hitting us everywhere and for some reason he spared me. Just before lunch he said ‘you better have a bowl before lunch’ and I think I bowled the second to last over before the break. “We sat down at lunch and he said ‘you’ve only gone for a couple so you better take the ball for the afternoon session’. India were 192 without loss before James removed Ajay Jadeja, caught in the slips. "I bowled a ball which swung in a fraction… we’re talking a couple of inches and no more. He got an inside edge onto his pad and it ballooned to short leg. Honestly, I thought ‘what the f***’. It was so funny"
Ady Aymes, the Hampshire wicketkeeper, opted to stand up to James - “it was just a way of trying to put the batsmen under a bit of pressure because there was no pressure at all… it was a bit hopeless, really” - and the decision proved inspired when Vikram Rathour overbalanced trying to heave a wretched ball into the leg side. Bails off. James had two. And history had begun to be made. Next up, the Little Master. Stephenson asked James if he wanted a short leg. “He said: ‘Come on, you never know… let’s just try it. We’ll have a bit of fun’. “‘You’ll never get anybody to stand there,’ I said. The ball was going everywhere. The field change paid immediate dividends. “I bowled a ball which swung in a fraction… we’re talking a couple of inches and no more. He got an inside edge onto his pad and it ballooned to short leg. Honestly, I thought ‘what the f***’. It was so funny,” says James, a boisterously friendly character. “It was weird. It was just weird. “It had been deathly silent when he walked out and it was deathly silent when he walked back. Hampshire turned to James, who by now - with Rahul Dravid striding to the crease - was only just realising that he was on a hat-trick. “He said ‘can you believe this, you’ve got a chance of a hat-trick here’, meaning ‘where the f*** has all this come from’. The umpire’s finger went up. “It was out, it wasn’t like John Hampshire helped me,” says James, not that The Cricketer had doubted him. At 35, it was the first hat-trick of the allrounder’s life. “It was really weird,” he says. “I’d never taken one before at any level - not club, not schools, nothing - and I was coming to the end of my career and I’d done it on the most unlikely day. "I put my hand up and went to ask this question and introduced myself, saying: ‘Kevan James, BBC’. No word of a lie, Ganguly said straight away: ‘Kevan James? Four in four?" Now Manjrekar came to the wicket, India 207 for four. This time, James didn’t find swing. But he still found the edge of the bat. Paul Terry took the catch in the slips. “I think by then I’d got the crowd back on my side,” laughs James. “They asked me if I’d ever got a hat-trick before and I said ‘no, I’ve never bowled three balls straight in a row before’. It was a line which made it into the Telegraph’s sporting quotes of the week. James now found himself among a relatively short list of cricketers to have taken four in a row in first-class cricket, alongside the likes of Pat Pocock and Albert Trott, he of hitting-the-ball-over-the-Lord’s-pavilion fame. No one had ever taken five. 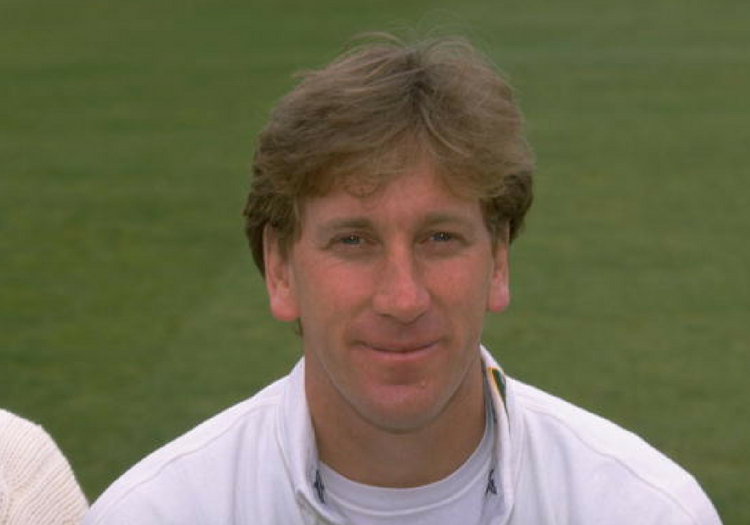 “To be fair, it was quite difficult,” he says, remembering the sight of Paul Whitaker diving through the air in pursuit of Ganguly’s thick edge. First-class cricket is still waiting for its first instance of five in five. But James’ name would be remembered by the Indians whose top order had been rattled that June afternoon. By 2004, James was working for the BBC on the south coast and he was sent to cover a press conference with Ganguly ahead of a Champions Trophy tie involving India at the Ageas Bowl. “I put my hand up and went to ask this question and introduced myself, saying: ‘Kevan James, BBC’,” he recalls. “No word of a lie, Ganguly said straight away: ‘Kevan James? Four in four? And all these journalists looked back at me. “I was so chuffed that he remembered all that time afterwards, and I told him that after the press conference. He said: ‘Of course I remember something like that’. “I told him that he probably didn’t remember me having him dropped at deep-ish gully the very next ball and he said ‘no it wasn’t, it was cover’. Ganguly’s memory of James is likely enhanced by what happened the day after that famous four in four. By now free from any chains of worry - “I thought ‘I don’t care what happens for the rest of the game’” - James went in at No.4 and steadily made his way towards a century. 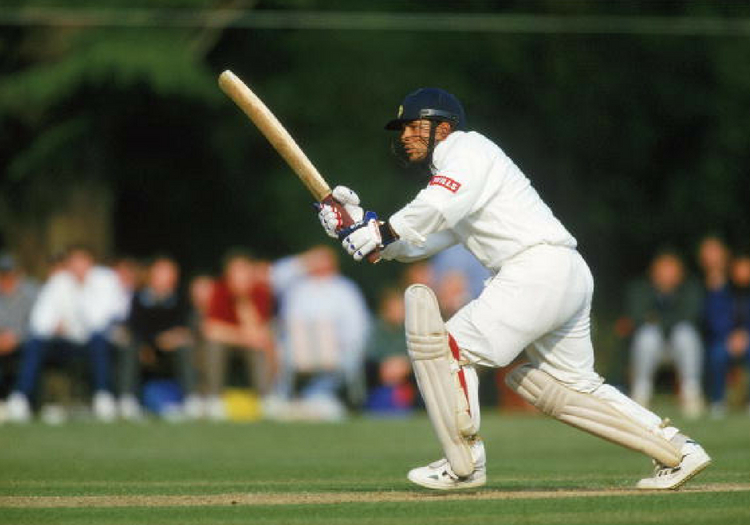 “I wasn’t the quickest-scoring batsman but the next day I was on this crest of a wave. Having had a couple of drinks the night before - which almost made me think I should drink every bleeding night - I just went out there and played a few shots,” he says. “I raced into the nineties and then played a really horrible shot against (Narendra) Hirwani, the spinner. I got away with it but Paul Terry was at the other end and at the end of the over he came up to me and said ‘I think you should just understand that if you get a hundred here, together with a four in four, that’s probably quite special and something you should probably think about’. “It was the worst thing he could have said. I suddenly thought ‘oh s*** he’s right, bloody hell… a hundred!’. It had never been done. And it has only been done once since - by Kelly Smuts for Eastern Province against Boland in Paarl in 2016. James sums it up best.